Meden Opt is a digital, audio-video intercom designed for IC rooms, hospitals, care centres and patients with disabilities. Its two-pair cable core is resistant to polarity change and only those two pairs of cables (power and communication) are indispensable for the system to work properly. 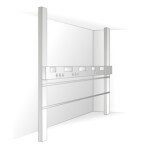 Because of such simplicity of the design, the intercom is easy to install and use. A piece of equipment for IC room use which is used for all the indispensable medical support units in a given room to become operational. 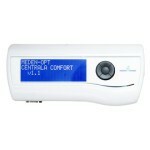 Most clinics, hospitals and medical facilities hold such bed head units.